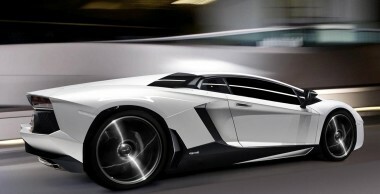 The Lamborghini Aventador was unveiled by Lamborghini at the Geneva Motor Show on 28 February 2011. Internally codenamed LB834, the Aventador was designed to replace the ten-year-old Murciélago as the new flagship model in the Lamborghini lineup starting in 2011. In keeping with Lamborghini tradition, the Aventador is named after a bull. The Aventador was a bull that fought particularly valiantly in the bull ring of Saragossa, Spain in 1993. Production will be limited to 4,000 units (4,099 Murciélagos were built). The molds used to make the carbon-fibre monocoque are expected to last 500 units each and only 8 have been made. The Aventador LP uses Lamborghini’s new 700 PS (510 kW; 690 bhp) 6.5 litre 60° V12 engine weighing 235 kg. Known internally as the L539, the new engine is Lamborghini’s fourth in-house engine and second V12. It is the first all-new V12 since the 3.5 litre power plant found in the 350GT. Its transmission is a single-clutch seven-speed semi-automatic.